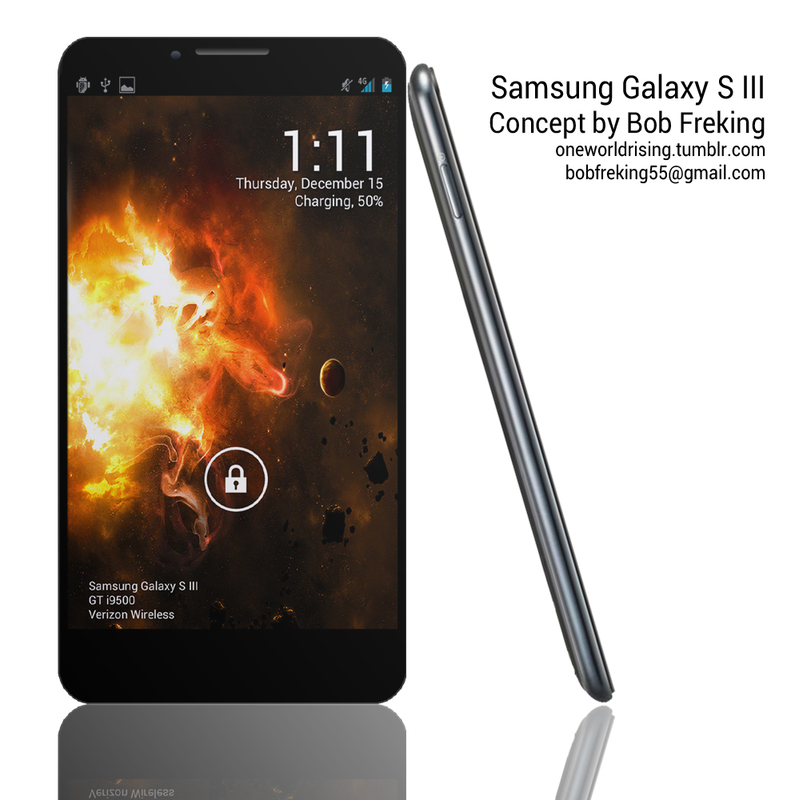 We’ve had our share of Samsung Galaxy S III concepts here, so it’s time for 2012 to produce a new one for us, courtesy of the same Bob Freking that has been so active over the past weeks. He created a more realistic Galaxy S III this time, that’s pictured below and based on a quad core Exynos processor with 1.2GHz frequency. This new Galaxy S comes with a 12 megapixel camera with 1080p video capture at 60 fps, plus LED flash and a 3.2 megapixel camera at the front with HD video. The CPU might use ARM15 MP Core architecture and according to Bob Freking Samsung will stick to plastic for the chassis, but they’ll also use a special texture to it, like the back cover on the Galaxy Nexus. Samsung Galaxy S III is supposed to feature Gorilla Glass 2 protection, the technology that will be unveiled at CES 2012, as far as I know. This display I keep mentioning is a Super AMOLED with HD resolution and the specs list of this new Galaxy S is rounded up by 1.5GB of RAM. Bob is sure that at least some of these specs will make it to the real Galaxy S3 and I’m confident as well, but I’m not quite sure if the new smartphone will be a quad core Exynos one, or merely a dual core 2GHz handset… I guess we’ll see at Mobile World Congress 2012!